Oh to be Jose Mourinho. The Chelsea manager’s torrid start to the new season continued on Saturday with a 3-1 home defeat to Liverpool, despite his side taking a fourth minute lead. Two strikes from Philippe Coutinho and a solo drive from Christian Benteke handed new manager Jurgen Klopp his first Premiership victory and heaped more pressure on his opposite number. Chelsea have now lost six of their first eleven games in an unexpected twist to this new season. What exactly has gone wrong is hard to say but many believe it’s a variety of factors all rolled into one that have caused this dip in form. Everything from player fitness, match tactics, lack of new signings and off field drama have been blamed but the one person who is receiving most of the criticism rightly or wrongly is manager Jose Mourinho. His behaviour since the start of the new campaign has been baffling, with the usually pragmatic Jose looking more sullen than before. The ailing health of his father during the summer may be a factor in this, which would also explain Chelsea’s late start to pre-season and the problems that have arisen from that which snowballed into a start that Mourinho would rather forget. Due to this, the media hounding of Mourinho is not unexpected but the pace in which they have changed their opinion of the self-proclaimed Special One is startling. For a man who guided Chelsea to a convincing title win last season to be now be seen as a bad manager in this one is inconceivable yet the British press have been quick to doubt his capabilities and handling of Chelsea. Speculative stories have been printed about Mourinho’s future as early as the start of September only five games into the new season. That followed the 3-1 defeat to Everton, Chelsea’s third defeat of the new campaign, marking Chelsea’s worst start in the Premiership. Rumours of unrest between players and Mourinho surfaced quicker than Chelsea, the players and their manager could deny them. Then Mourinho’s impending sacking by owner Roman Abramovich lead to speculation over who will replace him. The manager reacted in typical style but the drain of constant media pressure seems to be getting to him; refusing on occasion to speak with them or when he does, like this past weekend, resorting to one or two-word answers. In stark comparison, defending Italian champions Juventus have experienced little media pressure despite their poor start to the new season. Massimilano Allegri’s men sit in tenth place after eleven games played with only four wins to their name, three of which came in their last five matches. Whilst the start has not been ideal, the Italian press have been kind to the Juventus manager understanding that the season is still in its infancy and Allegri has time to turn things around especially given the circumstances. 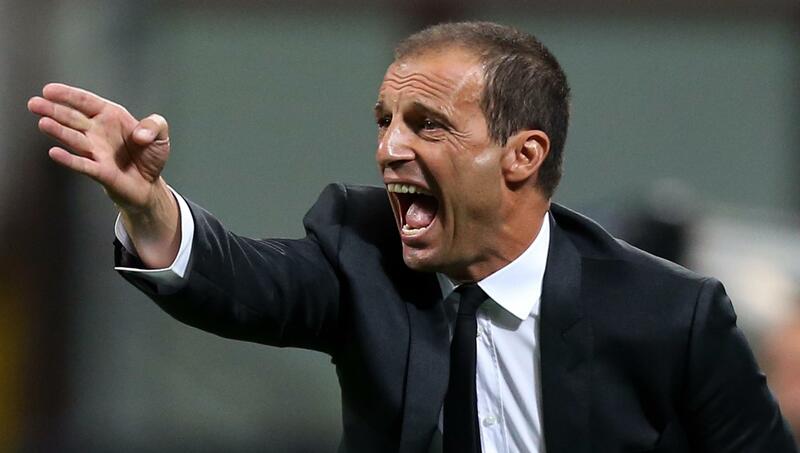 With several key players leaving in the summer, new recruits arriving and injuries to first team players, Allegri has understandably been unable to build on last years success which included a Champions League final spot. Allegri is under pressure but from the board rather than the media which appears to have given him more room for movement than his counterpart at Chelsea. So what now for Chelsea? Abramovich would be crazy to fire Mourinho at this stage in the season. Unless the owner has Pep Guardiola lined up and ready to take over now, then sacking Mourinho would make little sense. Besides Pep, there are few managers in the world game as good as Mourinho or possessing the talent to turn things around. Mourinho needs time to figure out what is going wrong and stop the slide. With the struggling trio of Stoke, Norwich and Bournemouth to come in the next four fixtures, Chelsea’s revival could start as early as next Saturday. Nine points from these three games could propel Chelsea back up in the top half of the season and potentially close the now 14 point gap between them and early leaders Manchester City. Winning the title is likely beyond Chelsea now unless others slip up badly so a place in Europe will be the new target. Results will come with Mourinho in charge but only if he has the full backing of the board and of Abramovich especially in January’s transfer window. Only then will the British media leave Mourinho alone to do what he does best – build winning football teams.